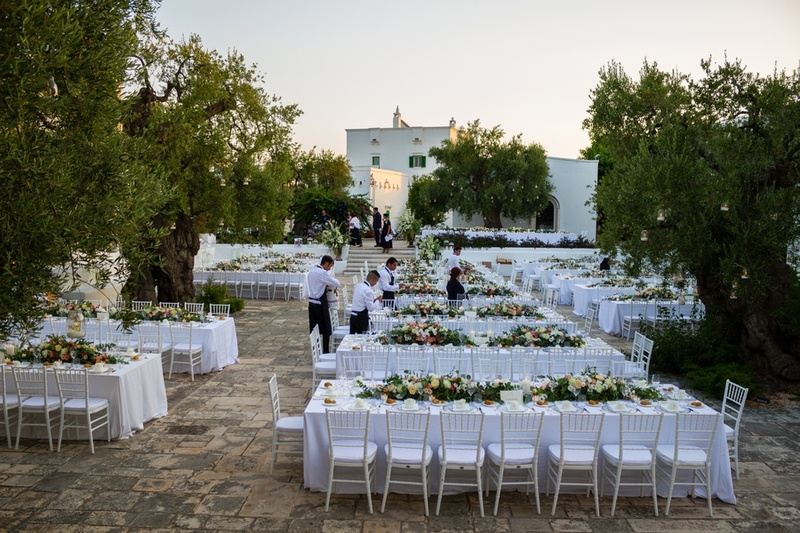 Apulia Masseria : Perfect venue for a wedding in Italy! 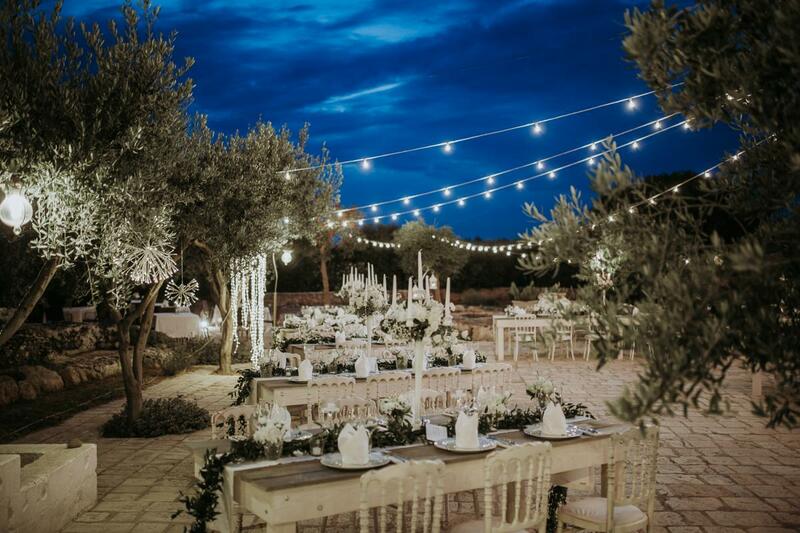 A Masseria in Apulia is the ideal location for those who dream of an authentic wedding. Its various spaces and olive trees make it the perfect venue for a romantic, simple wedding. WHAT IS A PUGLIA MASSERIA ? 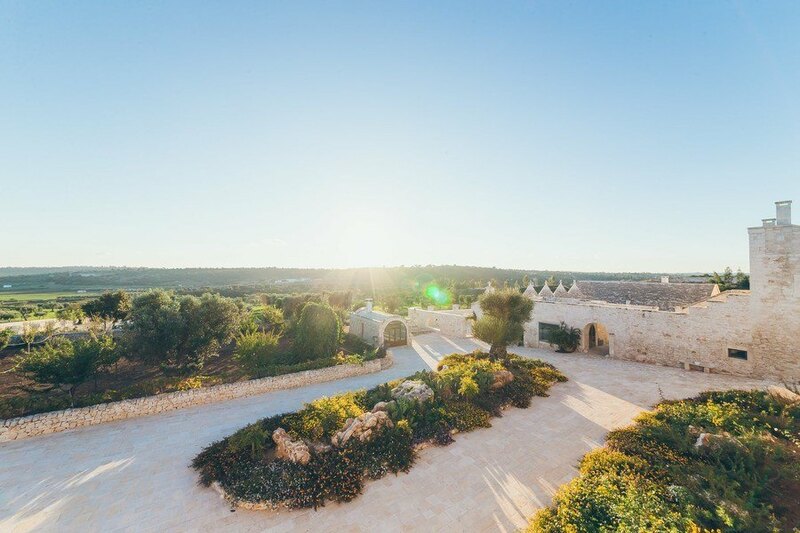 A Puglia Masseria is a traditional white-stone building, historically built for agricultural purposes. There are hundreds of Masserie in Apulia. Today, these gorgeous buildings have become tasteful hotels or sought-after wedding venues. Built around the 16th and 17th centuries, The Apulia Masseria used to be a home for a large community, whose owners used to grow crops and vegetables, keep cattle, or stock salt. Today the Masserie are popular with tourists and brides and grooms alike. 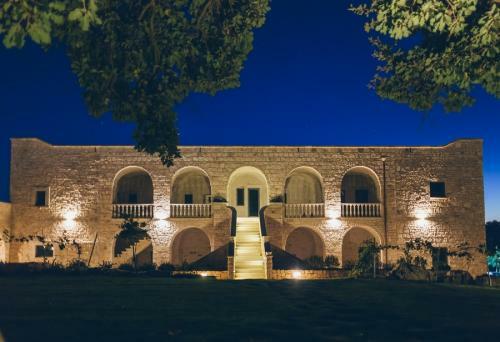 Most Masserie in Puglia have refurbished their large outdoor spaces for the delight of visitors. The walls of the old millstone serve as a bench for love birds who want a little rest. 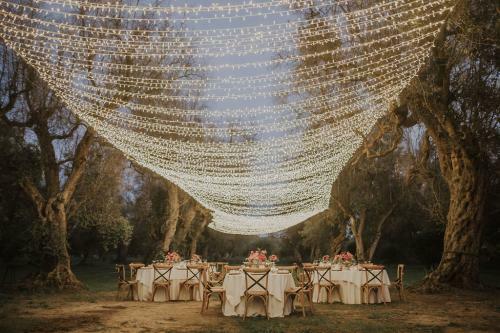 The field of olive trees is the ideal setting for a party with friends or for a beautiful shabby chic wedding in Italy. In many of them, part of the garden has been transformed into a swimming pool. Guests can then enjoy Italian art of far niente and the beautiful sun of Puglia to relax. 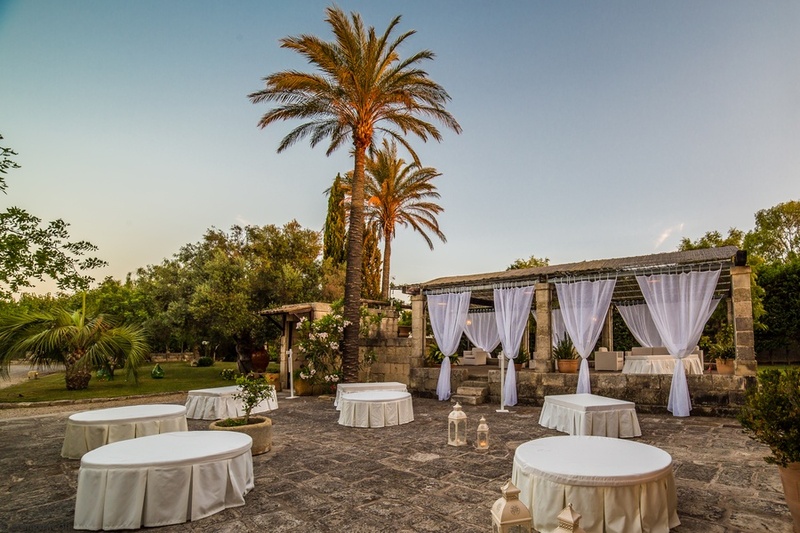 Many couples choose a Puglia Masseria for their wedding in Italy. They prefer the authenticity of a historic place, to celebrate their marriage immersed in the history of Italy. 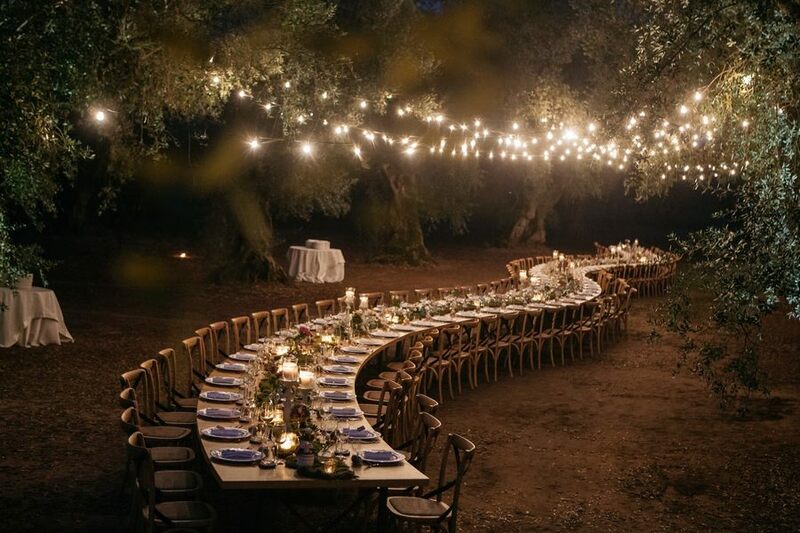 The field of olive trees then lights up for the meal served on large wooden tables, while the paved courtyard echoes the laughter of the guests. 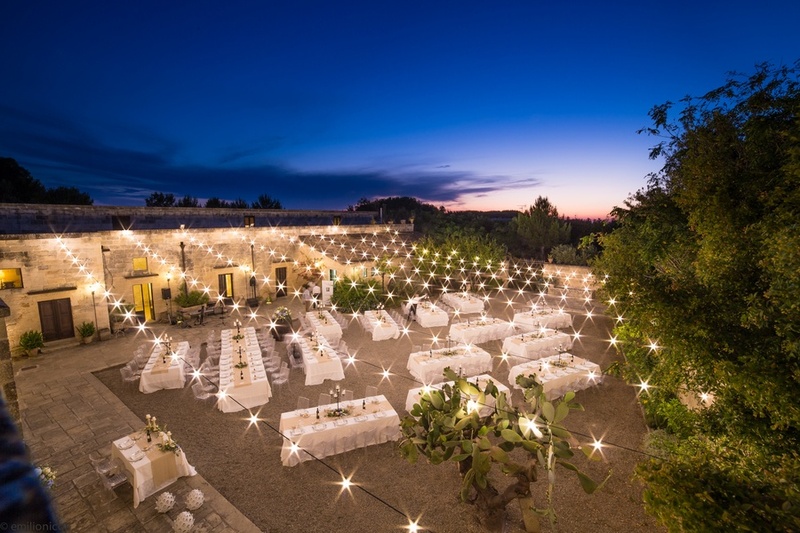 MASSERIA FOR YOUR WEDDING IN ITALY ? The white stone is an element common to all the Masserie, but they are all unique and are very different from each other. The bride and groom can choose a place that suits them best among the wide selection proposed by Noces Italiennes. From the most rustic to the most sophisticated, Masserie unveils their history and the tastes of their owners (of then and now) to satisfy couples around the world. If you want to organise your wedding in an Apulia Masseria in Italy, our wedding planner in Italy will be at your disposal to realise a bespoke décor, adapted to the chosen venue. The olive trees generally present in a Puglia Masseria are the ideal ground for a magnificent artistic illumination for example. Without denaturing the authenticity of the place, we will envelop it with the charm and magic of a tasteful wedding décor to create starry skies or garlands of light. From shabby chic to elegant, the decoration possible in a Puglia Masseria will allow you to express your personality and your experiences. Whatever your wishes, we will work hand in hand to make this day unforgettable!